NASA’s COTS program has seen two additional, private-public spacecraft travel to the ISS. Both Orbital’s Cygnus (seen here) and SpaceX’s Dragon spacecraft have traveled to the ISS (Credits: NASA). NASA Administrator Charles Bolden flanked by Space Exploration Technologies President and Chief Operating Officer (COO) Gwynne Shotwell and Orbital Sciences Corporation’s Executive Vice-President and General Manager Frank Culbertson along with several other NASA officials hosted a news conference on Wednesday Nov. 13 to discuss the closing of the space agency’s Commercial Orbital Transportation Services (COTS) program. With opening comments starting at 11:30 a.m. EST, the trio were joined by Alan Lindenmoyer, the head of NASA’s Commercial Program, Phil McAlister, the director of Commercial Spaceflight Development with NASA and Frank Slazer the vice-president of Space Systems, Aerospace Industries Association. Those watching NASA Television were probably a little confused as the space agency had listed the news conference as “Completion of the Commercial Crew and Cargo Program.” Given that commercial crew has yet to launch an astronaut and that commercial cargo is still ongoing under NASA’s Commercial Resupply Services (CRS) contract – it was unclear why the announcement was labeled as such. COTS was incredibly successful with two separate launch vehicles and spacecraft being developed under this initiative. It also served to return the capability of launching cargo from U.S. soil, something which has been lacking since the last space shuttle mission, STS-135 on space shuttle Atlantis, concluded in 2011. COTS was never planned to be a program in which new technologies were to be tested. Rather, it was one designed to validate designs that could replace a portion of the shuttles’ up mass (the amount of cargo delivered to orbit) capabilities. SpaceX has greatly benefited from its relationship with NASA. The company’s president, Gwynne Shotwell, stated that the company’s programs would not be as far along as they are without the agency’s support (Creditz: Mike Howard / SpaceX). 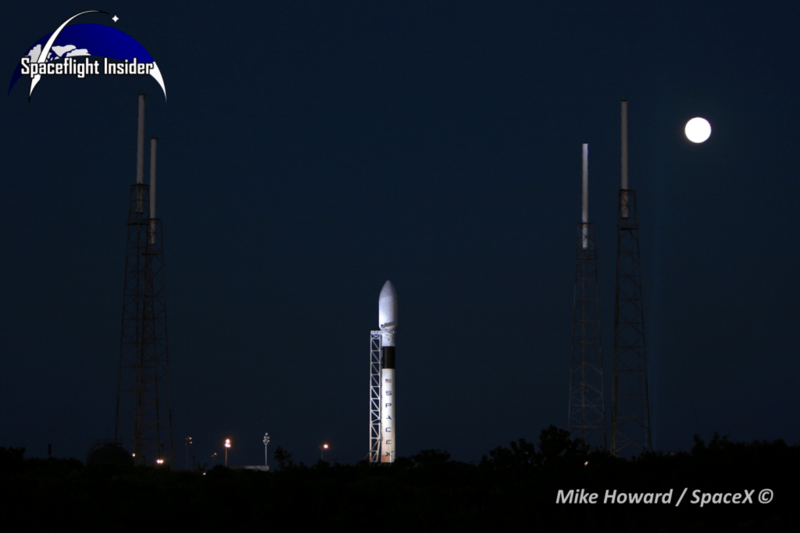 SpaceX’s Falcon 9 rocket and Dragon spacecraft have already completed two missions under the follow-on program to COTS – the Commercial Resupply Services contract. The Hawthorne, California-based company completed its COTS objectives in 2012 and has already completed two CRS missions to the International Space Station (ISS). 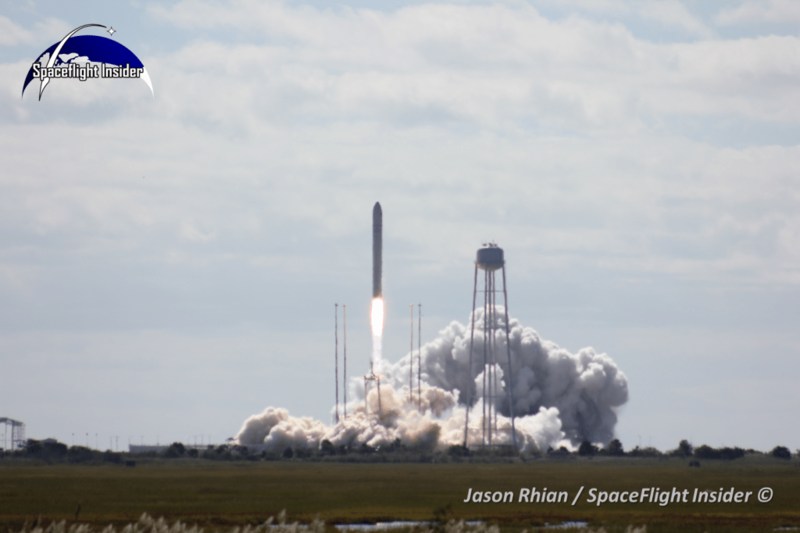 Orbital successfully concluded its demonstration flight last month by launching the company’s Cygnus 1 spacecraft (also known as the David G. Low spacecraft) on the Orb D1 mission to the ISS. Today’s conference also served as an awards ceremony of sorts with Lindenmoyer, Shotwell and Culbertson each receiving NASA Group Achievement Awards on behalf of the teams/companies that they represent. They were presented with these awards from for their efforts on NASA’s commercial programs. 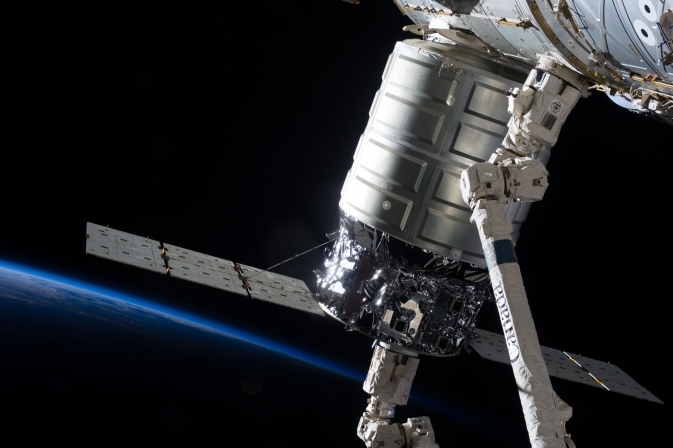 Orbital’s Frank Culbertson also revealed the name of the next Cygnus spacecraft which will fly to the International Space Station – the C. Gordon Fullerton. That mission is currently slated to launch on Dec. 8, 2013. Fullerton, like Low, was a shuttle astronaut, he piloted the B-52 Stratofortress which deployed a Pegasus rocket in 1991. Fullerton passed away in August of this year. Culbertson’s announcement was just one expression that highlighted the emotions tied to COTS. Bolden highlighted that COTS was a program which had received support from both sides of the political spectrum, mentioning that both the Bush and Obama administrations had sponsored the effort. 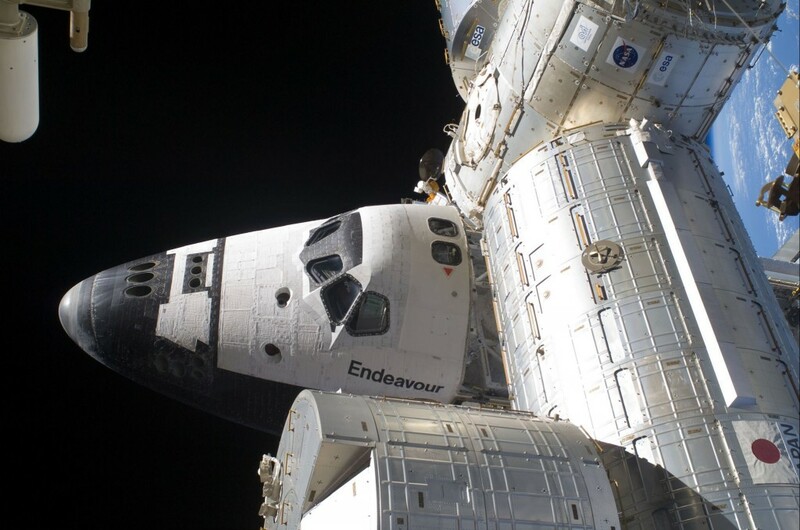 Since the last space shuttle mission in 2011, NASA and its commercial partners have been working to allow to provide some of the capabilities offered by the shuttle fleet in a timely, affordable fashion (Credits: NASA). COTS was announced on January 18, 2006. The two initial competitors were SpaceX and the failed aerospace firm Rocketplane Kistler (RpK, as it was known, filed for Chapter 7 bankruptcy in 2010). Shortly after RpK’s termination and departure in 2008 – NASA signed an agreement with Orbital to compete in COTS. These companies were the elite, as more than 20 aerospace firms submitted proposals under the COTS initiative. The first COTS mission was conducted by SpaceX in a fashion that surprised some within the space community. Initially, there were supposed to be two flights to the ISS, with the first only rendezvousing with the station and the second being grappled by the station’s Canadarm 2 and berthed to the orbiting laboratory. However, SpaceX petitioned and received approval from NASA to combine these two missions. This allowed SpaceX to complete the objectives under COTS 2 and 3 in a single mission. For its part, Orbital began working under COTS later than SpaceX and flew the first demonstration flight of its Antares launch vehicle in 2012. Just this past September, the Dulles, Virginia-based company completed its first COTS mission to the ISS, thus closing out the program. With the successful launch of the first Cygnus spacecraft and subsequent launch to the International Space Station, the COTS program has come to a close. Both companies are now working under NASA’s Commercial Resupply Services contract (Credits: Jason Rhian / SpaceFlight Insider). Both of these two companies will deliver various forms of cargo to the ISS under CRS. Orbital has signed a $1.9 billion contract for these services with SpaceX receiving $1.6 billion. Image caption: NASA Administrator hailed the conclusion of the agency’s Commercial Orbital Transportation Services (COTS) program in a news conference at NASA’s headquarters in Washington D.C. (Credits: NASA).